As you get settled in to the new position, you should continue any friendships and relationships from your former job. Be sure to keep a positive relationship with your old boss and absolutely don’t talk badly about them or the company. 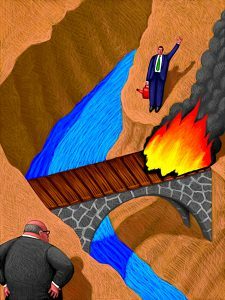 After all, the point of this whole “don’t burn your bridges” thing is that you never know when you’ll need someone’s help down the road.